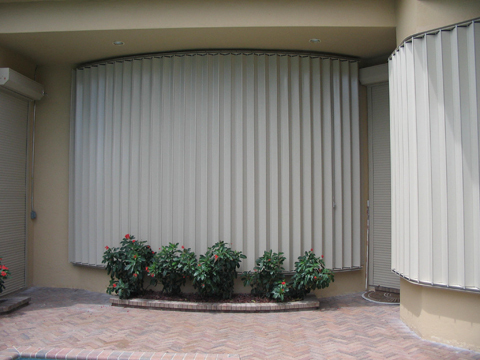 Accordion Shutters are designed to cover almost any type of opening and are ideal for larger openings such as sliding doors and across balconies. These shutters are excellent for store fronts and offer the toughest means of security for your home and business. 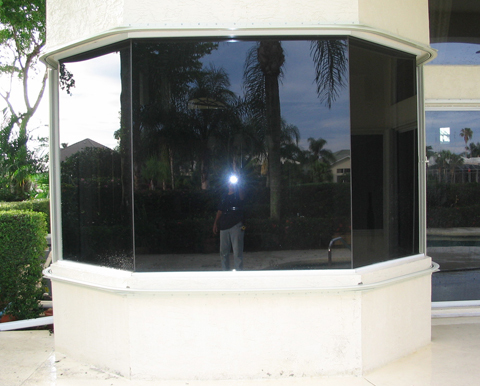 They are the perfect solution for securing patios, balconies and terraces which have large expanses of windows and glass doors. Accordion shutters are "user friendly", anyone in the family can secure them and the house can be protected within minutes. 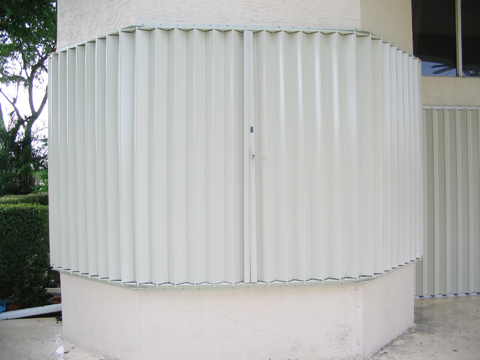 Accordion shutters offer an affordable, durable means of protection against storms and intruders. These shutters are equipped with a T-Handle lock on our standard shutter and a Push Button Lock on our new High Velocity Accordion Shutter. Permanently fastened to your home, the accordion shutters are easily operated by one person from inside or outside. 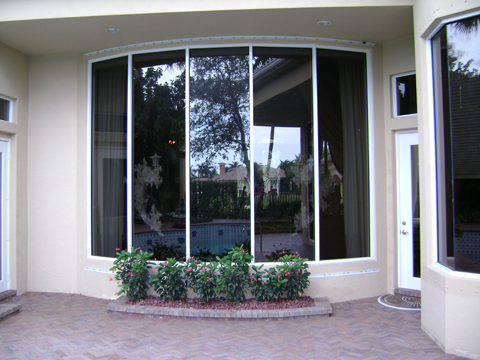 The High Velocity (residential) accordion shutter is the newest addition to our product line. The High Velocity accordion shutter has a unique design. 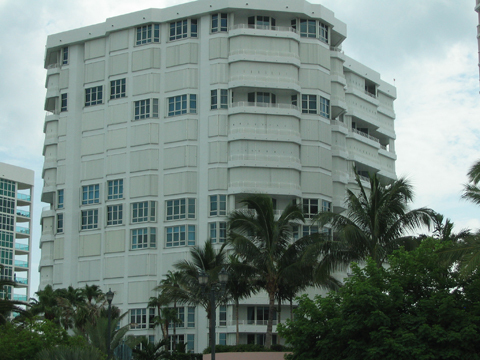 This shutter is Miami Dade Code Approved and Building Code Stringent requirements. 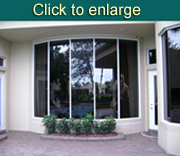 This shutter exceeds the toughest impact and wind loads requirements. It comes standard with a push button key lock for outside locking and a turn knob button for inside locking. With its new design, the High Velocity accordion shutter has a very sleek look, and with all the components that come with it, this is the best accordion shutter on the market today. 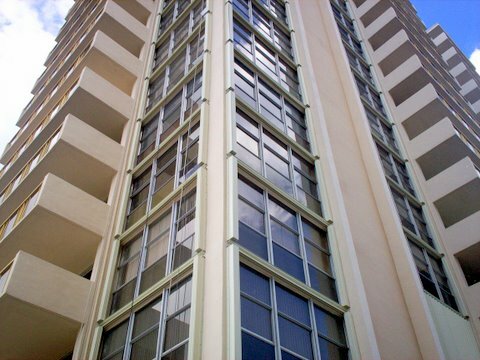 Our High Velocity (high rise) Accordion Shutters are designed for High Rise buildings and higher pressures where standard shutter can not be used. This shutter comes with a deadbolt type lock system. These accordion shutters are the newest on the market today. 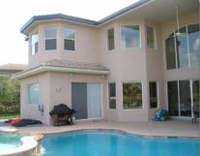 They meet and exceed the toughest requirements set by Miami Dade County and Florida Codes.